How much do I love cinnamon rolls? This beautiful warm smell of cinnamon and baked goodness that fills the house and wraps itself around you like a fluffy warm duvet. Smelling cinnamon rolls releases my happy hormones, just like stroking kittens does, sleeping in during the week or settling down to watch Outlander on Amazon Prime. Can it be that the swirl in a cinnamon roll has hypnotic properties? Think about it. Remember how Kaa the snake from the Jungle Book did this swirly-eye-thing to Mowgli and he would be at her mercy? That’s what a cinnamon roll does to me. Somehow, I feel magically drawn towards it! Cinnamon rolls lure me in in, like a wonderful psychedelic maelstrom of promising pleasure. This swirl, it shuts off the logical thinking part of my brain. It has secret come-hither-powers that should never be underestimated. The taste! Can you picture biting into a freshly baked cinnamon roll right now? Sinking your teeth into that fluffy, gooey goodness? I bite into a cinnamon roll and it’s like I have arrived IN THE NOW. There are people that meditate for years to achieve this state of enlightenment. I am telling you. There’s absolutely no need to travel to India and checking into the silent Ashram. No need to grow a beard or stop cutting your nails. Experience their certain je ne sais quoi. My dear sugar free and low carb friends, I have tried many versions of healthified (meaning: no-wheat, no-yeast, no-grains, no-sugar) cinnamon rolls using grain free flours such as almond or coconut flour. They all taste great, but their texture is either too cakey or crumbly to truly resemble the original, badass cinnamon rolls of my youth. Then I tried this recipe. Keto Cinnamon Rolls win by miles. Just looking at the close-up above is making me salivate again. 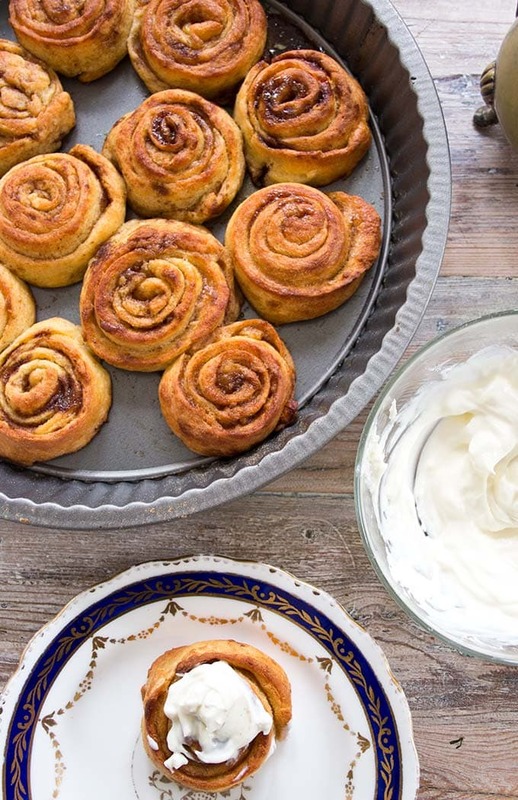 Keto cinnamon rolls are made using the Holy Grail of Keto dough, which is a truly genius invention using mozzarella cheese. It was conceived as a pizza base (I am talking about it in detail in my Genius Grain Free Pretzels post – I’ve traced the origins of the recipe as far back as I could). With a few tweaks it makes a brilliant dough for sweet pastry as well. I’d go as far as saying this: Holy Grail dough (which has become famous as Fat Head dough) is the cleverest brainwave since the conception of low carb eating. I want to hug the person who thought of combining an Italian cheese with almond flour to create a dough that actually mimics the taste of wheat dough. How could you possibly come up with an idea like this? Was it a coincidence? Someone accidentally dropping flour into melted mozzarella? It’s a bit like that person who banged two stones together and created fire. Boom, and the world is a better place. The dough is a little tricky to handle – thanks to the inherent gooey-ness of mozzarella – but if you follow the instructions in the recipe section below, you should have no problems. 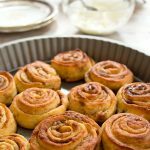 These Keto cinnamon rolls are best enjoyed warm, when they are soft on the inside and with the most tender crunch on the outside. Should you have any leftovers, keep them in an airtight container in the fridge and do make the effort to heat them up again before eating. This recipe works best with pre-shredded mozzarella from the supermarket. Fresh mozzarella contains too much liquid and is too runny. The dough is a bit tricky to work with. Do oil your hands if you find it too sticky (I used walnut oil). If it cools down too much, just warm it back up to make it easier to handle. 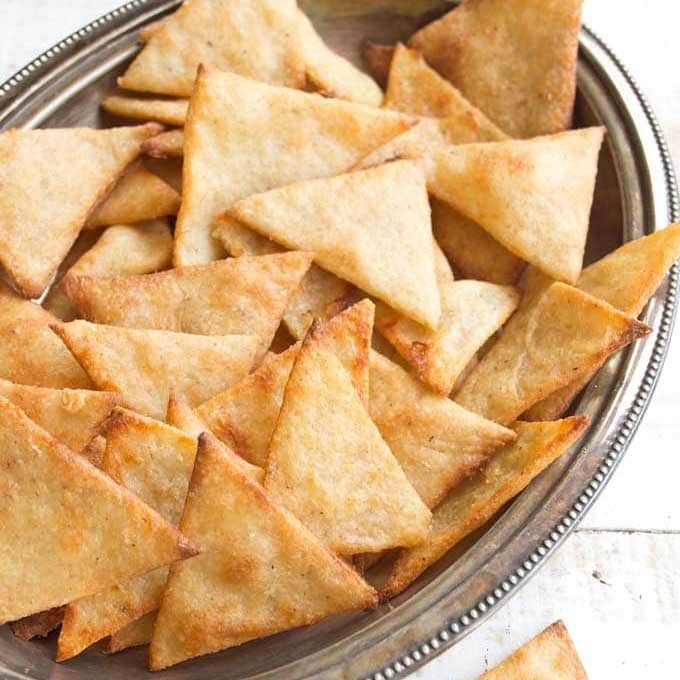 If you have it, use a brown sugar alternative such as Lakanto Golden to make the filling – it has a taste very similar to brown sugar that works great with cinnamon. You can use butter instead of the water in the cinnamon filling, which gives the rolls a nice buttery taste. I made a few using butter, then decided to just dissolve the sweetener in water as the rolls are very high in fat already. The choice is yours! 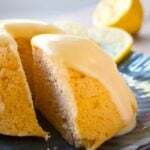 If you do not have vanilla-flavoured stevia, you could add a bit of vanilla extract to your frosting. If you don’t have extra fine almond flour and are using almond meal or ground almonds, add an additional 2 tbsp of almond meal/ground almonds or 1 tbsp of coconut flour so the cinnamon rolls keep their shape. Another option to make the rolls is to roll out the dough between 2 sheets of parchment paper into a large rectangle. Spread the cinnamon filling on top, roll into a log and cut into slices. Soft, chewy, fluffy Keto Cinnamon Rolls! A delicious tea-time treat, these rolls are made with the famous fat head dough. They are sugar free, grain free, gluten free and only 1.3 net carbs per roll. Now add the almond flour and baking powder. Start to combine using a fork, then use your hands to make a ball of smooth dough. This can be easier if you lightly oil your hands first. Divide the dough into 6 balls of ca 50g each. Form long rolls (ca 40cm), then flatten out with your hands. Make the dough as thin as you can. 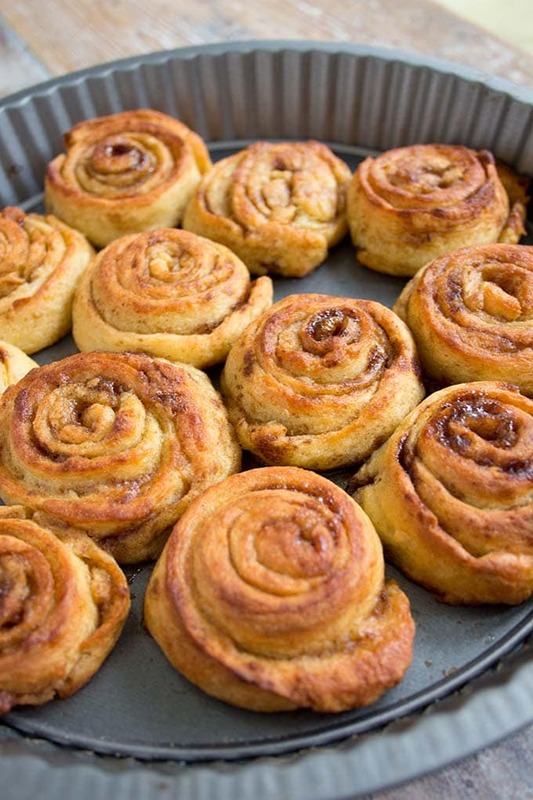 Spread the cinnamon paste over the flattened dough rolls. Roll each into a bun and cut sideways in half. Now you have 12 buns which you place on a non-stick baking sheet or in a pie dish. Bake for ca 20 minutes. While the rolls are in the oven, prepare the frosting: Mix cream cheese, yoghurt and stevia. The dough is a bit tricky to work with. Do oil your hands if you find it too sticky. If it cools down too much, just warm it back up to make it easier to handle. Don't be fooled by the size of the rolls - they may be small, but are quite filling! If you have it, use a brown sugar alternative to make the filling - it has a taste very similar to brown sugar that works great with cinnamon. You can use butter instead of the water, which gives the rolls a nice buttery taste. I made a few using butter, then decided to just dissolve the sweetener in water as the rolls are very high in fat already. The choice is yours! 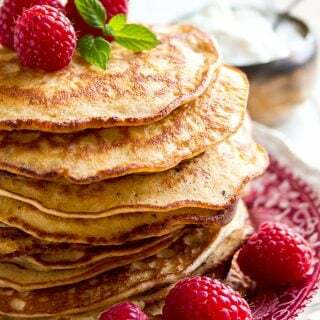 If you don't have extra fine almond flour and are using almond meal or ground almonds, add an additional 2 tbsp of almond meal/ground almonds or 1 tbsp of coconut flour. This post contains Amazon Affiliate links. If you click on one of these links and purchase a product as a result, I may make a small commission. This money goes towards the running costs of the site. Thank you for supporting Sugar Free Londoner. I’m looking to bake these for Easter. However, I was thinking on baking them as a “bread”, slice them up and then serve them as French toast with the frosting for breakfast. Could that work? Would I have to change the baking time? I think if you baked it as a flatbread, that would work well. I have a recipe for garlic bread, which is the same kind of dough, only savoury. Check it out for baking times. I tried adjusting the numbet if servings but it didnt adjust ‘all ‘ of the ingredients . Hi Lugenia, sorry, this is a shortfall of the recipe plugin and my programming skills are not sufficient to fix it. Is there anything I can help you with personally? First time to your site and I get that?!! I’ll follow you anywhere after that! LOL But first, I want to try this recipe! Cinnamon rolls mesmerize me too! I just made these this evening and they turn phenomenal. I LOVE this, thank you! Oh my goodness I am just having these with my coffee and these are like a piece of heaven they taste soooo good I had to slap my hand to not have more !!! Thank you very much !! Yesterday I made them savory I made pizza rolls spread the dough out splashed some sauce olives and cheese rolled and cut and they were yummy !! Oh, pizza rolls, that sounds AMAZING!!! Have you seen the fat head dog method of just dumping the ingredients in a food processor and blending rather than heating? Do you think that would work with this? Might have to give it a try. You could try that – I did it with the dough for my low carb pizza. You need a high speed food processor that is fast enough so the blades heat the dough enough for the mozzarella to melt. Oh Nuts! brand almond flour which is very fine. Thanks for your comment and tips!! Haven’t tried them yet still baking in the oven but look good. Just have a question about the filling; I used xylitol as the sweetner and my filling didn’t turn into a paste. It remained almost a liquid. Is this because I used this particular substitute? hi Cherie, hard to say… I haven’t used xylitol in a long time and am not sure how easily it dissolves. Maybe try grinding it to a powder next time? I made a test batch of these today to make sure my boys liked them before making them for Christmas morning. After reading all the comments about them going flat, I baked them in silicone cupcake molds. They kept their shape nicely. I also used brand new baking powder and Bob’s Red Mill Super-fine Almond Flour. We liked them, but prefer more cinnamon in the filling, so I’ll be making another batch tonight and cooking them in the morning. I think it would work. I’ve had readers even freeze the unbaked rolls for later use. One thing i’d do though is ensure you bring them back to room temperature before baking – I’d set them on the kitchen counter for about 1 hour or so. Thanks for this great recipe. Came out super good. The oil tips really helped with the sticky dough. Sounds great. I must try this, too! hi Joyce, I think the almond flour brand makes a huge difference in this recipe. The rolls in the photo are made using the Sukrin Almond flour, which is super super fine. I think it’s the most finely milled almond flour available here in the UK and it’s available in the US, too. There are other finely milled brands such as Bon’s Red Mill. And yes, it is possible that when you roll your dough too thin, making the rolls too tall (hope this makes sense), they could lean and collapse sideways. Another thought – chilling them before baking could help them keep their shape. I just read an article about cookies that recommended this, so the butter would be cold and hold the dough together. 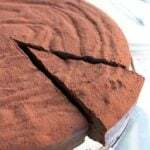 This way, the outer edges firm up before the inside gets soft and lets the entire shape collapse. This could make up for using less fine almond flour. Not a technique tried and tested by me, but I think it could make a difference. I just made these for the first time. They were quite good! I found the directions of how to make the dough really good. But my rolls did not rise? Perfect shape and really nice flavor but they did not really look fluffy like yours do. Hm. It could have something do do with how fresh your baking powder is? It’s one of those ingredients that we keep in the larder for ages and it can go off and become less effective. Almond flour goods do tend to rise less than wheat flour ones though. My rolls were fairly small, too. I hope this helps. I was so excited to make your cinnamon rolls. What a disaster!! I followed your recipe but the rolls melted in the oven. Don’t understand how yours came out looking like that. I’m so disappointed..
Hi Cynthia, there are a few things that can affect the outcome – you’ll know if any of the following applies. It could be your oven – depending on age and make temperatures can vary by as much as 20 Celsius. You could increasing the temperature next time and thereby not giving the mozzarella the opportunity to slowly melt and spread. Or it was the type of almond flour you used. Brands can vary a lot! I have made my grain free pretzels (same basic dough) with almond meal (ground almonds) before and they were much flatter than when I used extra fine almond flour. The flour I used is by Sukrin, it is super super fine. It is quite expensive, so a bit of a treat. If you don’t want to invest in a flour like this and want to give coarser flour another go, try increasing the amount by 2-3 tbsp to firm up the dough. 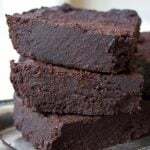 I haven’t tried this myself in this recipe, but have done it in other recipes where I replaced almond meal for fine almond flour. Congratulations on an incredibly tasty recipe. I never comment on websites, and I have never craved cinnamon rolls in my life until 3 days ago, when the urge suddenly struck. I’ve been doing keto for 18 months, and was worried I’d fall off the wagon big time. So I googled today, found your recipe, read the comments and was scared the dough would collapse on me. But no! My oven produced cinnamon buns just like the picture! (This never happens to me). I halved the recipe, and am glad I did, because I’ve just eaten four of them, and the remaining two won’t last the night. So thank you, thank you, Kathrin – I am one very happy camper. How wonderful! I’m so glad they were a 100% success. I really think the taste matters so much more than how something looks, but if your rolls tasted great AND looked beautiful… perfect. Thanks for your comment. it made my day! Ive made 2 attempts at this recipe. First time the rolls came out looking more like cookies. I thought being in a tropical country, room temperature will be warmer which will cause the rolls to collapse. For my 2nd attempt, I chilled the dough, kept the dough chilled when working on it. The shaped dough was just like regular cinnamon rolls. Then the shaped rolls were baked. They turned out like cookies again! Hello! 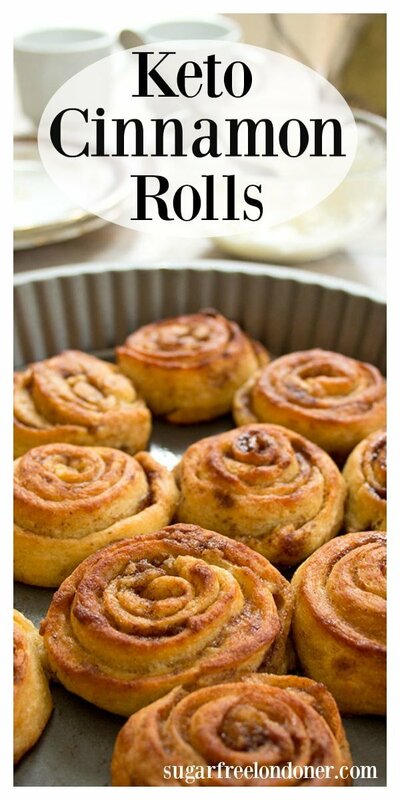 Been sifting through cinnamon roll recipes to satisfy a craving and this one looks most promising. One question if you don’t mind; I have stevia drops but they are not vanilla flavored so I will just add it on its own. How much vanilla would that be? Hi Adalie, I’d use 1 tsp of vanilla extract. That’s the amount I normally add if I use vanilla extract in baking. Hey Maryann, thanks for your comment and the English lesson – you’re absolutely right, I’ve taken the “alas” out. I thought it meant the opposite!! There you go, after 22 years in England, now I know 🙂 Which recipe did you make? I’d love to hear how it went! Hi Sarah, how annoying! Can I ask which almond flour you used? If it’s not fine enough maybe that’s the reason they collapsed. The basic recipe I used for these rolls is not mine and has been popular for making low carb pizza dough for many years, so it’s been trie and tested. Let me know and maybe we can get to the bottom of it! 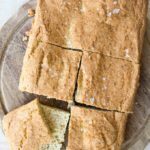 I used the Sukrin almond flour the last time I made this recipe, maybe you can get it wherever you are. Great tasting, however they came out as cinnamon pancakes! Do you know what I did wrong? I’d like to try them again. Hi Lori, that’s an interesting one. It’s happened to another reader as well. Can I ask you what the consistency of the dough was like when you made the rolls? Was it easily formable into rolls and did the rolls keep their shape before you put them in the oven? Then I’d say it could have been either that your oven would need to be hotter to firm up the rolls quicker before they had time to collapse. Or that maybe your baking powder was out of date and did not make the rolls rise enough. If the dough was too soft BEFORE you put the rolls in the oven it could be that the almond flour was too coarse so you would need more almond flour to get the dough to a firm consistency. I hope this is helpful and would be really interested to hear what you think and find out the outcome of your next try. Thanks so much! I think my dough was too soft so next time i’ll try to use more almond flour. I’ll let you know how they turn out. Thanks again for responding so quickly! 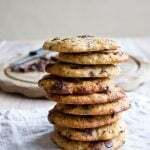 Can you use coconut flour insted if almond flour? Yes, you can, but you’d have to change the amount because coconut flour is more absorbent than almond flout. Try halving it and use 40g of coconut flour. I was wondering is there an alternative for Stevia…I don’t like the after taste? Sure! You could use powdered erythritol instead. Monk fruit is a great alternative and doesn’t leave an aftertaste. You’re a great blogger. I typically don’t take the time to read the forward (because they are often boring and add little to my desire to try OR the recipe). I just get to the ingredients and steps. But, you started off saying read for tips and so I did and I found your writing to be a wonderful pastime. I also want to thank you for the metric conversion…without it I’d be lost (shameful I know!). I am going into the kitchen to make these – they look and sound wonderful. Thank you! Thanks for the recipe. I was reading the ingredients and eggs are not listed but your instructions indicate adding an egg. Just thought I would give you heads up. I hope to try this recipe this weekend! Looks so yummy!! Hi Elissa, thank you for your comment – the egg was listed, you must have missed it when you were scanning the list… I do that all the time! Anyway, it’s great to get hints like that because sometimes I do forget to write down something and I’m always grateful when it gets pointed out. I’m glad you like the look of the cinnamon rolls. Let me know how you get on! I’m guessing a shredded vegan mozz cheese substitute wouldn’t get the job done as well as the real thing. Have you an opinion? Oh man, I was SO looking forward to this but I ended up with Cinnamon pancakes >.< Where did I go wrong? I followed the recipe exactly, read all the comments for tips and hints but nada, no treats for me tonight 🙁 Could I have used too much oil on my hands to handle the dough? I also sprayed my glass dishes with canola oil spray so they wouldn't stick as I ran out of baking paper. 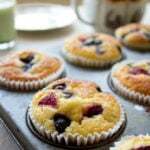 The almond flour I used in the recipe is very fine – I used the one by Sukrin. I am not sure if you can get hold of it in Australia – best check on Amazon. Maybe the one you used was coarser? I don’t think it could have anything to do with too much oil. Great recipe. I swirled the cinnamon mixture directly into the dough and formed little buns. Worked a treat. OMG absolutely fabulous! I just made this recipe and it turned out amazing. Thank you so much for sharing this recipe. This is going to be a regular! Would appreciate if you can advise where have I gone wrong with the recipe. P/s: I used shredded mozz cheese as advised. I’m excited to make these rolls but just curious, did your egg stick to the cheese? My egg kept sliding off the heated cheese mixture when I made the Fathead dough. Thanks for sharing! It’s not the easiest dough to make, that’s true. You just have to persevere with the egg and keep on mixing until it gets incorporated into the dough. I will happen eventually! I made these before Christmas and used the full log method. They were sticky to cut and collapsed into a cinnamon blob in the oven. But what delightful delicious cinnamon blobs they were!!! It’s all about the taste!!!! I would love to make these for Christmas morning, but not ON Christmas morning. Any tips on making the day before? Should I let the dough sit overnight in the fridge? Thanks from California! Will granulated erythritol work in place of the Sukrin gold? Will it still have a brown sugar flavoring? Or is that unique to sukrin gold? Thank you! Eileen! You made my day. A big virtual hug from me right now! Hello…hoping to try these on Christmas morning as we always have them, this one day a year, but this is going to be my first low-carb, keto Christmas! I was wondering if they could be prepped the day before? Roll them up, assemble them in a pie plate, refrigerate them overnight and just bake them off in the morning? Thank you for any advice…they look great! I have not tried that but why not? I’d bring them to room temperature before baking though, just so there are no surprises. Hope you’ll enjoy them! How did they turn out? My family has always done cinnamon rolls Christmas morning, and this will be our first Christmas while on a low carb diet (Keto). I’m so glad someone asked!! This is exactly what I do and was hoping it would still work with this recipe. Hah, sounds like Reddit cannot be trusted! The great thing about mozzarella is that it literally does not taste of much at all and therefore can be used in a sweet recipe like this one. And you are right, the rolls are small (you can see the size of mine in one of the pictures where I hold them in my fingers) but considering that you are eating cheese & nuts, which are quite heavy-going, that’s a reasonable size. I do hope you will try again one day using mozzarella 🙂 . ….. if you liked the consistency you achieved with the Monterey Jack, you could also try out my pretzel recipe – they are savoury so a bit of a cheesy taste should work nicely! These cinnamon rolls are really nice. I think the dough is a bit messy to work with, but the result is really worth it. Will definitely be making these cinnamon rolls again. Thank you for a fantastic recipe. I love Fat Head dough it’s the best! Wow they look good. Trying them this weekend! This one is a regular over here. So delicious! Amazing recipe. We all loved it! So disappointed in my results as the melted cheese mixture was waaayyyy too runny and no additional amount of flour was going to get it to a doughy texture (don’t worry, I tried). The whole lot went in the bin. Only afterwards did I read your response to comments regarding the choice of mozzarella. I had used ‘real’ mozzarella over the highly processed supermarket type which bears no resemblance to mozzarella. Can I suggest you append a note to the list of ingredients to help other hapless bakers such as myself? Similarly the 2tbsp of water added up the filling makes a liquid rather than a paste. 1tbsp in my second try worked perfectly. Shame I didn’t have any dough to spread it on! Oh Sharon, how disappointing! I have pointed out in the recipe now not to use fresh mozzarella. I thought it was clear enough when I said that it needed to be the shredded type. I am so sorry that the recipe did not work out for you, and what a waste of perfectly good mozzarella. I do hope you’ll try it again using the shop-bought type – the dough is so versatile, it makes awesome bagels and these low carb pretzels…. Thank you for your feedback. I have tried making these too and they almost turn to goop. Turn down temp to 150 and it bakes perfectly although takes longer. Good to know! So your temperature was 150 Celsius? How long did you bake them? Love love love this recipe! Thank you!! I’m in France and can’t find grated mozzarella. Do you think if I freeze a whole mozzarella I can then grate it? Any other ideas? Hi Liz, I don’t think freezing is necessary or would be beneficial for the recipe. I find that the difference with grated and fresh mozzarella is that the fresh one is softer and more liquid. Whilst this is amazing in salads (I love the ones that are runny in the centre), for baking you want to find a mozzarella that has as little liquid in it as possible. Look out for a reduced fat mozzarella, they tend to be firmer. And maybe squeeze it a bit to get some of the moisture out. I made these tonight, they were.. So interesting! I didn’t follow the recipe for the filling exactly, (I don’t have sukrin gold, I’ve not seen it in Canada yet) so I made a paste of 25-25-25-25 cinnamon, swerve, butter and macadamia nut oil, because in general I like a drier, more cinnamony bun than the standard. The dough I followed precisely and was really glad for your images and tips, as it turned out great. The baked buns really have a carby texture! Pretty amazing! I found they had a SLIGHTLY cheesy flavour, which I decided to embrace, and mixed a couple tlbs of cream cheese with a tsp of vanilla extract and some swerve and made a frosting for them. I wouldn’t normally glaze my cinnamon buns, but it was the perfect finishing touch on these, masked any mozzarella flavour, and added a lovely “cinnabon” feeling. 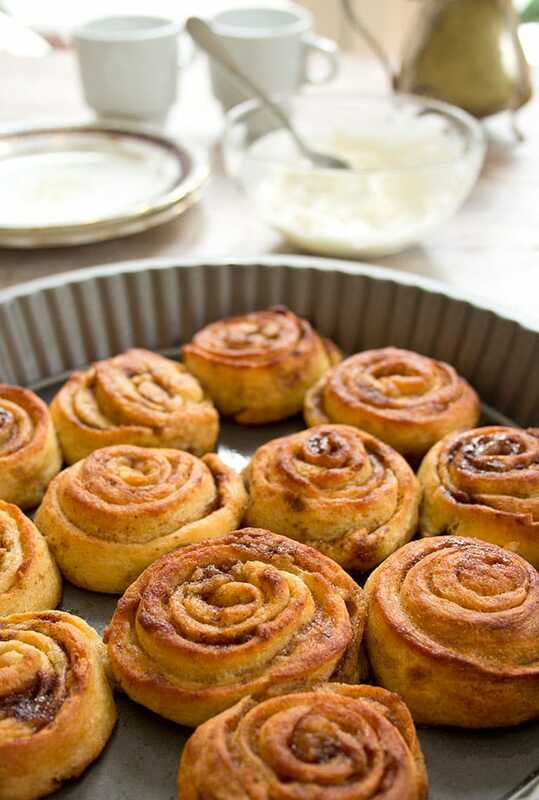 Great recipe, definitely a keeper, as a warm cinnamon bun would normally be something that could definitely derail my keto, but these really scratch that itch! Great recipe! My rolls looked and tasted yummy. Thank you! That’s great. Glad you liked the recipe! Loved this recipe. My rolls were delicious. Update: it came out pretty good. The dough tastes a lot like mozzarella cheese though…but, it’s okay. Def. edible! My dough was way too sticky…I didn’t read the part about using oil on your hands. They are in the oven now, I just left the dough flat…we’ll see in a few minutes how it tastes. As for the topping…I had made whip cream last night so I melted some cream cheese and blended it…it tastes GREAT! Can’t wait to try it. Did you enjoy the taste as much as the smell? Hope you’ll give it another go. What kind of mozzarella cheese did you use? This recipe looks great! In the icing ingredients it lists “2 drops liquid stevia = 1/2 tsp”. Should this be 2 dropperfulls instead of 2 drops? I have a simple little stevia bottle that does not have a dropper. All you can do is press out drops. 4 drops have the same sweetness as 1 tsp of sugar. I hope this helps? Very anxious to try this! I have one question that’s been bugging me since I first read about FatHead dough. If you add the egg single to the hot cheeses, will it not begin cooking? I noticed that you’re adding it to the melted cheeses; other bloggers add it to the softened cream cheese & then add this to melted mozzarella. I can see how this would prevent a “scrambled” egg in cheese; but can’t figure how I can add it without it already beaten into something. Am I missing something? You are right, if the cheese is too hot, bubbling for example, you could possibly end up cooking the egg. I do not have a microwave (can you believe it !!) so I heated up the cheese in a pot until it had just melted. Then I took it off the stove and stirred in the egg. This worked well. Is there a substitution for the yogurt in the icing? hi! these looks nice! do they freeze too? thanks! They absolutely can be frozen. Did you try to do it like they do cinnabon.. roll out all the dough in a rectangle, put the filling on and roll it up and THEN cut it? I think it would be easier and less figity – but thought I’d ask if you tried that way and perhaps it didn’t work. I did consider that, but decided against it because the dough can be a little sticky. I did not want to risk it sticking to the surface half way through rolling it up. That is not to say it’s not possible! I did it the way Patti suggested. I you put the dough on parchment paper and put another piece on top and roll it out, it won’t stick. It was easier and less messy. they turned out great! 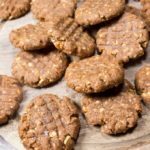 Can the almond flour be substituted with coconut flour? What would the amount be if so? You can, but, like you said you’d have to adjust the amount as coconut flour is more absorbent. Use around 1/3 cup coconut flour. I’d also probably use 2 (small to medium) eggs – coconut flour always needs more binder than almond flour. Let me know how you get on! breaded chicken, for example. 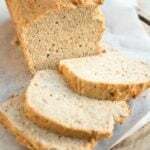 You could also try sesame flour – in recipes where its distinctive flavour would be an asset. Hey Katrin, I love all your recipes. I started eating low carb and sugar free last month and it’s made such a huge change in how I feel. Keep on posting! What a great idea! They look amazing. I’ll make them this weekend! Great news! Let me know how you get on. So they are in the oven now… looking and smelling good! Good tip to oil the hands. This dough is not the easiest to work with. Oiling your hands really does make all the difference. And keeping the dough warm – not too hot, not too cold, but just right! Just made them and they are AMAZING! I recently bought some Sukrin Gold and it works so well in the recipe.Thanks!! Brilliant! So glad you like them!!!! I’m gonna bake these cinnamon rolls for sure, they look amazing! The guys on the Fathead site actually do attribute this recipe to Cooky at Cooky’s Creations when they promote the mozzarella dough. I think most folks discovered the recipe at the Fathead site and therefore think it comes from there. Glad you’ve caught who the actual originator is! Surprisingly, it does not taste cheesy at all. It’s the sweetness and the cinnamon you can taste. Mozzarella does not have much of a taste on its own, and that taste gets masked by the other ingredients in the recipe. Can you buy shredded mozzarello cheese? Of can I use a normal grater? 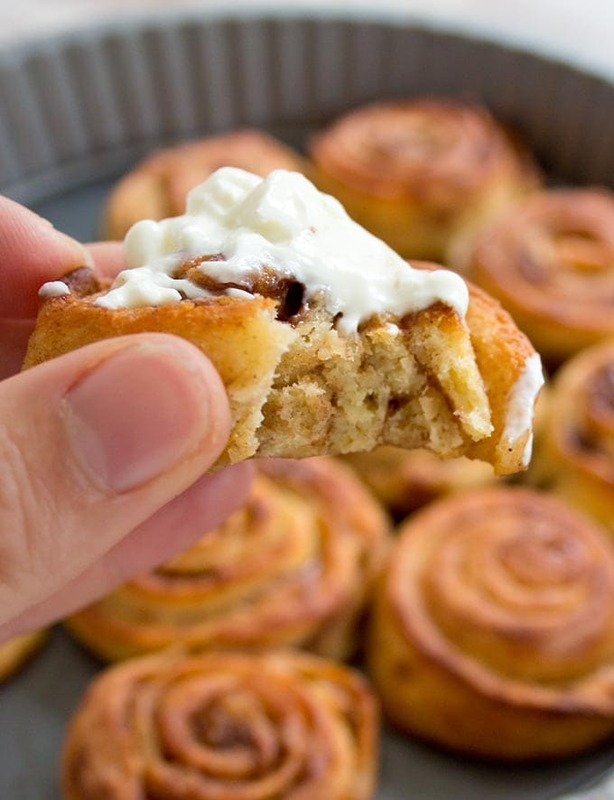 Do they taste quite cheesy with the mozzarella and cream cheese or more like a cinnamon roll? Thanks! Yes, here in the UK you can buy shredded mozzarella cheese. This is what I used. It does not have much of a taste on its own. We’re used to eating it with savoury flavours such as tomato and herbs, as you would use it when making a pizza. It’s amazing how it is transformed when you pair it with the brown sugar alternative, cinnamon and almond flour. Whatever little cheese taste mozzarella has completely disappears when combining it with those ingredients. Hope you’ll try it! In the US the shredded cheeses have cellulose added. That’s why I grate my own, even though there is quite a lot of moisture. So much more healthier. Almost any store will have shredded moz! I buy mine at Sam’s Club. But all the big box stores have it. 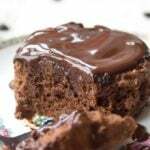 Think I will make these today. =) I am fairly new to the Fathead scene, having used it only about three times so far. 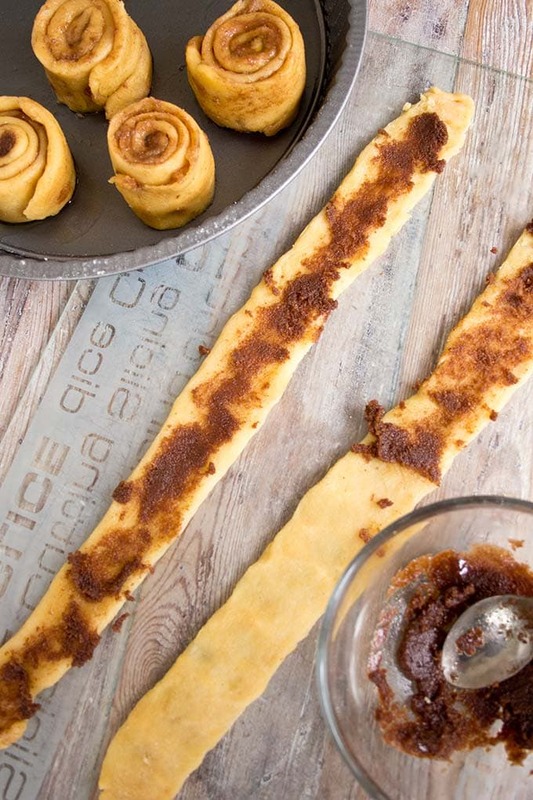 Does the dough prohibit rolling out into a rectangle, rolling up into a log and then cutting into slices, as traditional cinnamon rolls? However they look, they will still taste great !!!!! When I use this dough for pizza I roll it out between two sheets of parchment paper. First I lightly oil the sheets with a small amount of olive oil, then I put the lump of dough between and use the rolling pin to roll it out to the desired thickness. For pizza, I bake the crust with both sheets of paper (makes it easy to flip over for even baking). I will be trying this recipe! That is exactly what I do. I just roll out the dough, roll it up (after putting in a cinnamon mixture) and then cut into rolls. Works great! I love the dough these are made from. I use it for everything. These look yummy! I am thinking of making these for my son for snacks at school. I send batches of things into school for him for the term ahead. So they would be frozen and the cook would take one out of freezer for him in morning for his snack tht day. I’ve seen you say they freeze well which is great but I’m assuming that you would freeze them without the glaze on them?? Will they be just as good if he just has them reheated with just the filling and without the glaze? I wouldn’t freeze them with the glaze, just like you said. I like them without glaze just as much, but I guess we’re all different :). I’d try with a batch at home and see how it works best for you and your son. Maybe you can send in a pot with the glaze that they keep in the fridge for a week?